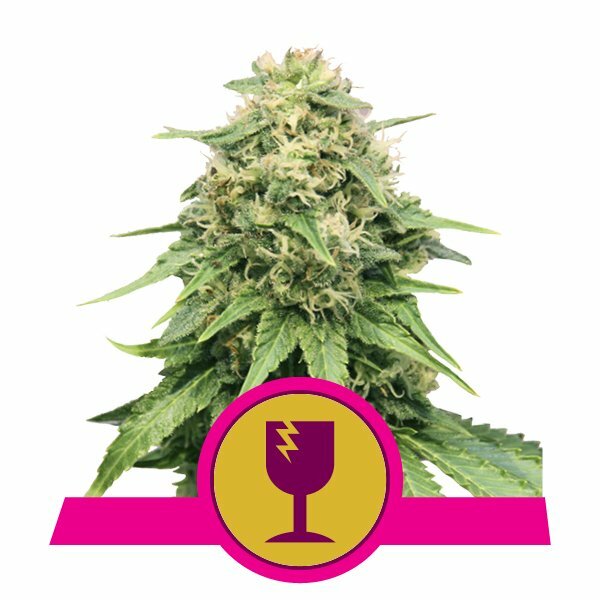 At Royal Queen Seeds, we know that there are a mind-boggling number of options of feminized cannabis strains on the market, and that researching the best weed seeds can be confusing for the beginner grower. To help you out, we’ve compiled this list of the top 10 feminized strains of cannabis so that you can buy cannabis seeds that are right for you without having to do all the research. Our Royal Gorilla is one of the strongest strains available from Royal Queen Seeds. We have managed to bring this powerful cannabis strain all the way from the U.S. - the only place were it had been available until now.With an average THC level of 25% - and exceeding 30% depending on the phenotype - this incredible beast will take you soaring the skies....or have you glued to the couch! Our feminized Royal Moby is one of the best cannabis strains for growers who are looking for a big, strong plant with a high first yield. It is genetically Sativa dominant, which means that it will grow heartily and easily to an average height of two metres indoors or three metres outside. Indoor growers can count on a harvestable yield of 75 grams per Royal Moby plant. This strain takes up a lot of room and needs a lot of nourishment, but the payoff is a high THC content product that provides an incredible high. Power Flower is a reincarnation of Power Plant, one of Amsterdam’s most prevalent and popular strains. It’s a high-yield strain that is relatively easy to grow indoors, making it a great choice for recreational growers and medical cannabis growers alike. Those living in northern latitudes would probably struggle to get Power Flower to thrive, but growers in warmer climates will find it reasonably easy to get a 65 to 85 gram yield from their plants. It has a delightfully citrusy taste and provides a mellow high. Northern Light is a household name at this point, and its time-tested reputation is all due to its powerful, intense high. Our feminized Northern Light will reach a height of about one metre indoors, or two metres outside. It flowers in seven to eight weeks, and the resin coating on the buds produces a beautiful glowing effect toward the end of the growing period. With its genetics laying the groundwork for many different hybrids around today, Skunk is truly the grandmother of all of the best cannabis seeds you come across. It’s a Sativa dominant blend of Columbian, Mexican and Afghan strains, and is one of the easiest plants to grow in our cannabis seeds bank inventory. Commercial growers love Skunk for its huge yield and short flowering time, and indoor growers can expect between 65 and 75 grams from a one-metre-tall plant. Its fruity flavor and instant high makes Skunk a classic favorite for all types of smokers. Fruit Spirit is a sweet, tasty treat that you’ll practically be craving for dessert. It has a berry flavor and a pleasant head high, and cannabis connoisseurs favor it for its deliciously different taste sensation. Truly one to try for hobby growers, the plant stays just under one metre indoors with an average yield of about 30 to 40 grams. Our feminized Fruit Spirit loves warm, sunny climates, and it evens smells amazing during its flowering period. This specialty smoke needs an 8-week flowering time, and will take a little extra care after harvesting to retain that fantastic fruity flavor. There’s a raging debate about the genetics, origin and even the actual meaning of the name O.G. Kush, but there’s no debating the fact that this feminized strain has been enduringly popular for decades. Its strength and potency make it money well spent, and the plants feature huge, dense clusters of resinous buds. It’s Indica dominant and the plants remain short, with a yield of about 50 or 60 grams each. 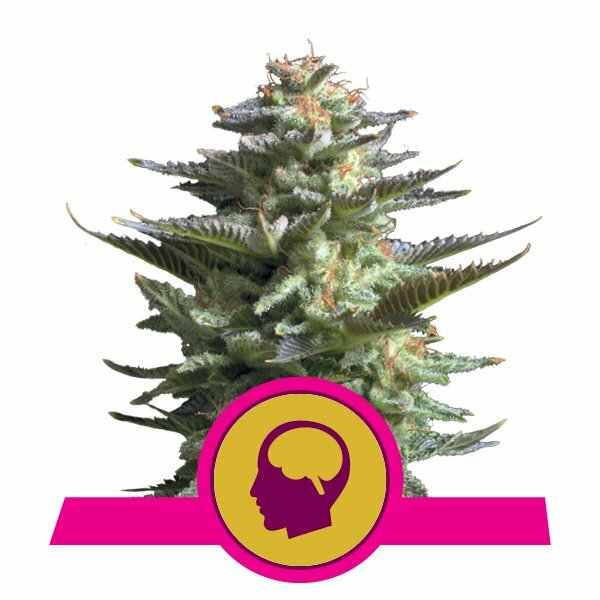 Developed from the popular haze strains in Holland by an American expatriate, Amnesia Haze produces that psychedelic head high that haze varieties are renowned for. Amnesia Haze is best grown indoors, and despite its long flowering time, it’s one of Royal Queen Seeds’ best yielding plants. You can reasonably expect 70 to 80 grams from a single metre-tall plant, and the strength of the smoke plus the fruity flavor makes the harvest well worth the wait. First grown in the Netherlands, White Widow was developed from a Brazilian pure Sativa and an Indian Indica hybrid. Its popularity led to the seeds being strewn all over the world, and now every seed bank has their own knockout variety of the classic. We’re so proud of our feminized White Widow, and we offer it as a recommendation for first-time growers due to its low maintenance. Unlike other strains, it can actually be grown in colder climates, and the pine flavor and clean head-high will make this one of your absolute favorites. Critical has every single one of the qualities that you’re looking for in a marijuana plant. Its high yield, easy maintenance and major potency make it the ultimate triple threat, and we think you’ll love the relaxed, sublime high you get the first time you smoke it. Critical will produce an average of 65 to 75 grams per one-metre plant, and the flowering time only takes about seven weeks. If you’re looking to grow fast and furious, Critical is the plant for you. Whether you’re growing cannabis seeds for the first time, or are an experienced medical marijuana grower, you’ll find that our cannabis seeds bank has a variety of feminized strains of cannabis to suit your needs. Not only does Royal Queen Seeds carry the best cannabis seeds around, we provide datasheets and reviews for every strain in order to help you decide which seeds you want to grow.